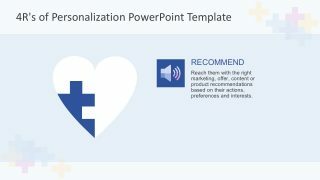 4R’s of Personalization PowerPoint Template is a unique diagram that resembles a heart shape infographic. 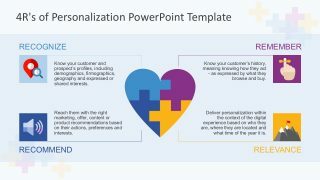 Within the diagram are the 4 R’s puzzle pieces, clip arts, icons, and texts. All in 100% editable vectors. 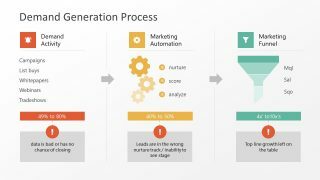 The 4R framework promotes the global lead of digital optimization. 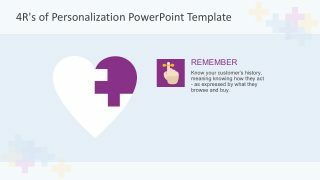 Specifically, it means that businesses need to achieve consumer personalization. First, to secure sales. Second, to promote a repeat purchase. And third, to get their loyalty to the brand. 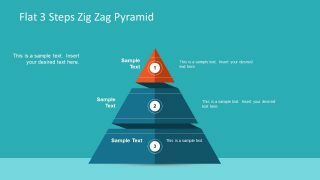 Consequently, it is the responsibility of the companies to help customers choose the best option. 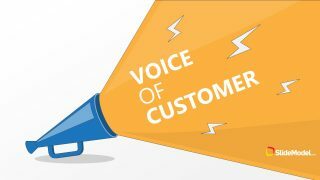 Hence, promoting the right product, content, or services based on the customer’s individual preferences. 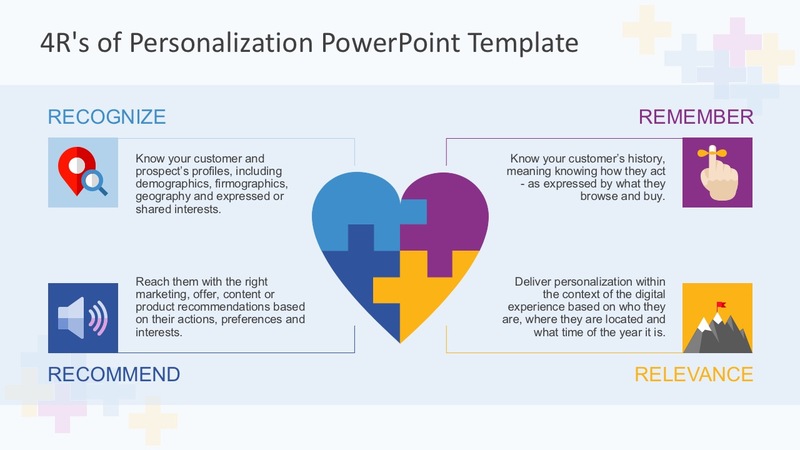 4R’s of Personalization highlights these four key components and how businesses can leverage them to achieve a top personalized user experience. 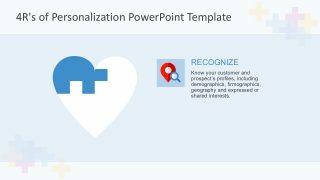 Recognize: know the customers and their shared interests. Hence, gather and consume data about them. Recommend: reach them with the right marketing and offer content or products for better recommendations. 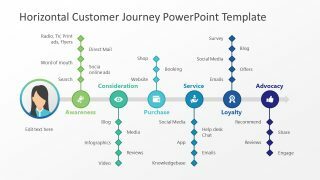 Remember: knowing the customer’s history means not just knowing what they buy, view and consume, but also why they made those decisions. 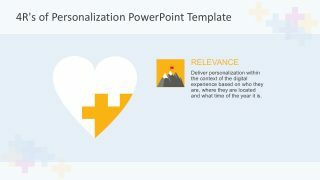 Relevance: deliver personalization within the context of the digital experience based on who they are, where they are located and what time of the year it is. Only then will companies truly help their customers find, buy, and consume what they truly want. 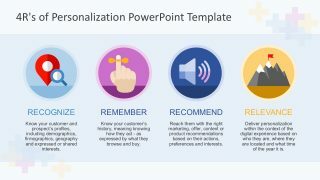 Alternatively, check more business strategy templates for PowerPoint.